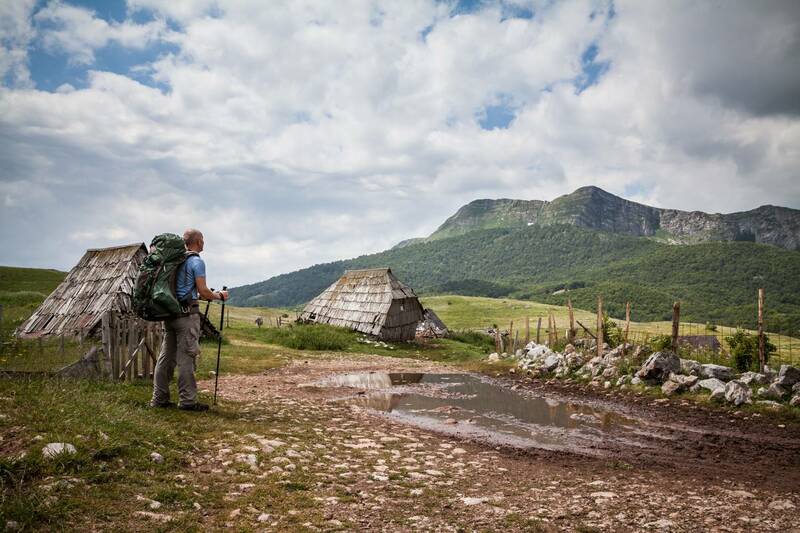 Explore part of Via Dinarica in Croatia and Bosnia, an area that is yet to be discovered by hikers. If they only knew what was waiting for them! On this adventure, you’ll find a playground for active travellers. Spectacular limestone peaks, beautiful Adriatic coast, glacier lakes, amazing views, colourful wildflowers, medieval villages, and a gracious culture and people. Come explore Nature Parks Dinara & Blidinje. Visit Sarajevo, Bosnia’s capital city, and Bjelašnica, one of four mountains around the city that hosted the 1984 Winter Olympics. Sarajevo is a fascinating mix of European and Near Eastern culture. Arrival to Split airport and transfer to the small and pleasant town of Skradin, on the banks of river Krka. In the evening, while enjoying a drink at one of the town’s terraces, you can often feel the fresh breeze coming down from the mountains in the inner lands. Dinner and overnight in hotel. Morning transfer to the area of river Krupa. Hiking from the village of Ravni Golubic into the canyon of this karstic river beauty, enjoying views to its emerald waters as well as the intense green banks of the river. 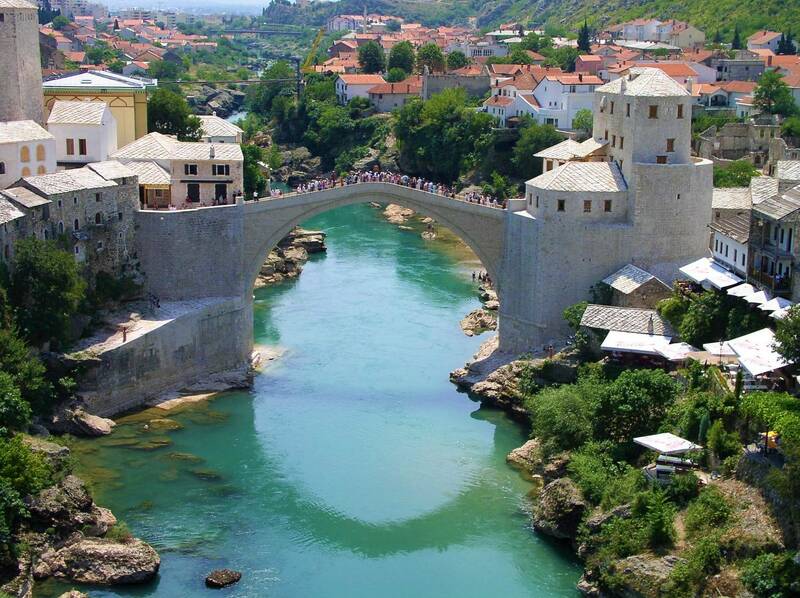 We will also get a chance to admire Kudin most, a 109m long bridge made in stone, connecting the 2 banks of Krupa river. The bridge was built at the end of 18th century and presents a masterpiece of a stone building, as well as holds interesting legends around it – if you wish to hear more, come and hike the Via Dinarica with us! 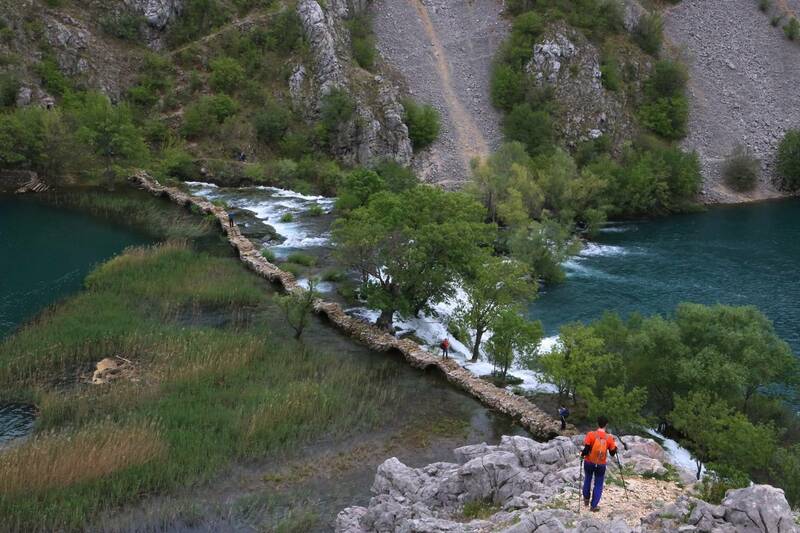 We’ll have a picnic lunch and a possibility of a refreshing swim in Krupa river. Hike back to Ravni Golubic by a different trail and transfer back to Skradin. Dinner and overnight in hotel. Transfer to Glavaš village near Kijevo town. Hiking ascent to Dinara (1,831m), the highest peak of Croatia from the eastern side. On the way, we will enjoy bird’s eye views to the mountains of Bosnia & Herzegovina northeast from us, as well as the valley of Cetina river and Perucko Lake, down southeast from us. After the peak, we descend to the mountain hut Brezovac, on the western slopes of Dinara. Overnight in mountain hut Brezovac. After breakfast we descent from Dinara mountain to the villages near the historical town of Knin. On the way, we hike up to Badanj peak (1,281m), one of the most beautiful panoramic spots in the area of Dinara. We admire views to the plains around Knin and nearby mountains such as Promina as well as to the highest areas of Dinara mountain, where we have hiked the day before. Picnic lunch on the mountain, before a descent to the pick-up point and transfer to Mostar, in Bosnia & Herzegovina. 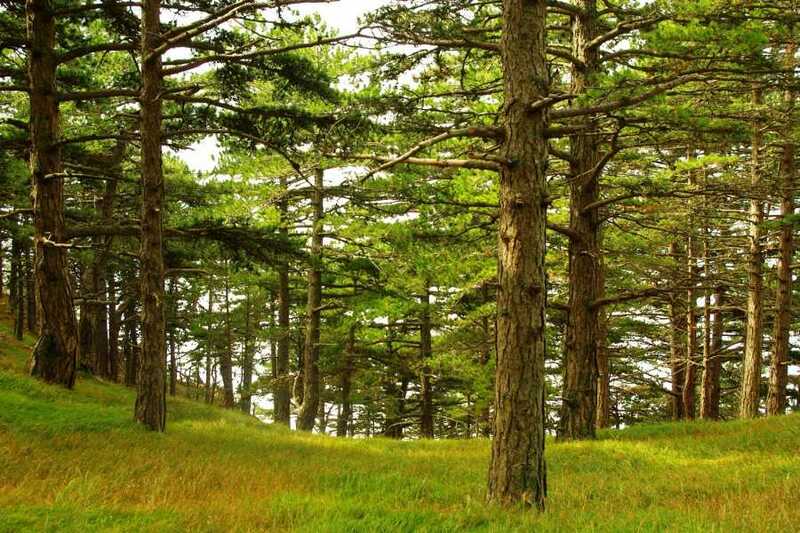 We start our Bosnian part of Via Dinarica adventure with a transfer to Blidinje Nature Park, from where we will start hiking over Čvrsnica mountain. 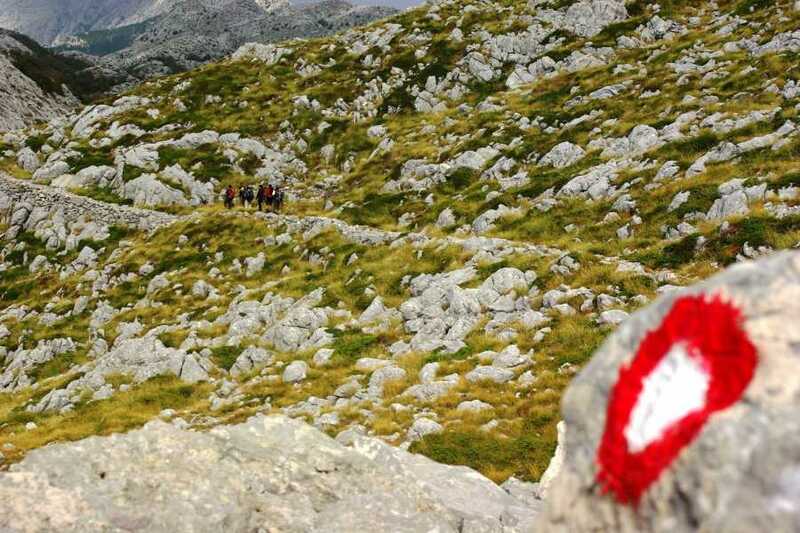 Today’s goal is Vilinac peak (2,118 m). The first bit of trail takes us through beech forest and a gentle ascent. As the elevation rises we come above the tree line and the “sleepy giant”: Čvrsnica Mountain. From the top of Vilinac, we will see the surrounding peaks, a 360-degree panorama. The hut is located 15 minutes away, where we spend our first night in the mountains. 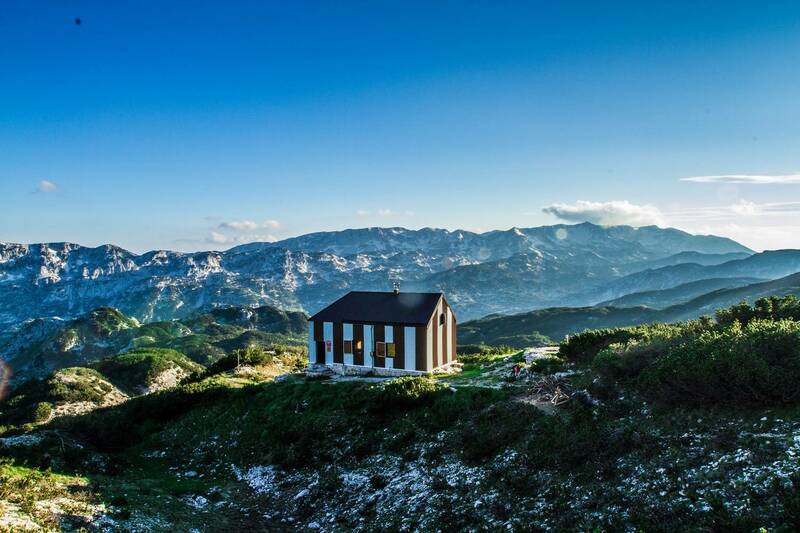 Sunrises are the most beautiful in the mountains, and sunrise from Vilinac Hut is definitely one of the best in Bosnia. After breakfast, we will hike east to Drinaca peak (2,038 m) and Hajdučka vrata. 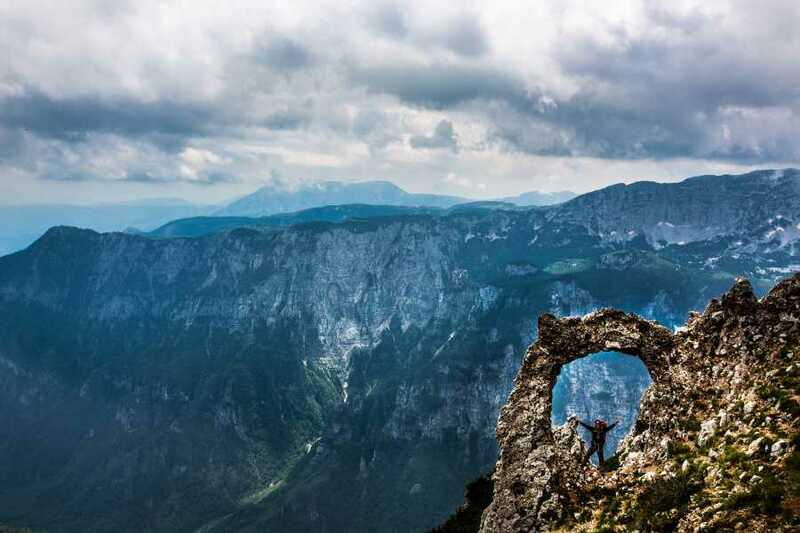 Hajdučka vrata is a natural arch more than four meters wide. This natural phenomenon is very typical for carst and limestone. There are many natural arches of this kind in this area, but one is the biggest. From here we will start our descent, more than 1,500 m down, into the valley of Diva Grabovica. At the end of the day, we’ll be transferred to Umoljani village at Bjelašnica Mountain, for a well-deserved homemade dinner. Full day walk on the Bjelašnica Massif (home of the 1984 winter Olympics). 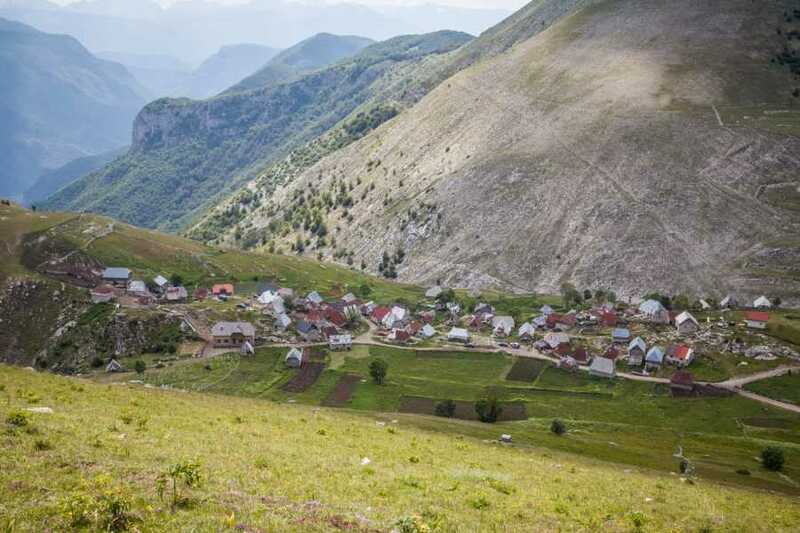 We will visit Lukomir, Bosnia and Herzegovina’s highest village (1,469 m). 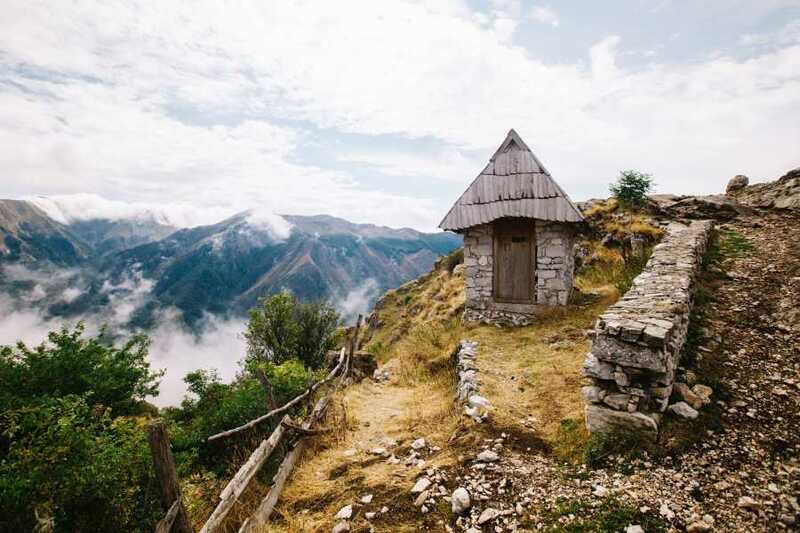 From the traditional style Bosnian Mosque in the village of Umoljani, we’ll walk to the seven water mills and the beautiful source used for centuries as energy to grind wheat into flour. We hug the ridge until Rakitnica (this is the far north end while Kasići is the far south end) opens up. After 5-10 minutes, we reach the Cascades of Studeni Potok. Here we’ll have a super view of Obalj and the long flat valley of Studeni Fields. En route, we’ll find quite a few sources where we can drink our fill. From the Studeni Fields, we hike along Obalj’s side, you will be treated by sweet views and cool breezes coming off of Visočica and Treskavica. Lukomir is Bosnia’s highest village at 1,469 meters, with its ancient stećci (medieval tombstones) and where villagers stick to the “old way” of doing things. Traditional dress, the occasional turban, and fez are still worn and go hand in hand with the more contemporary rhythm of everyday life: electricity and running water. 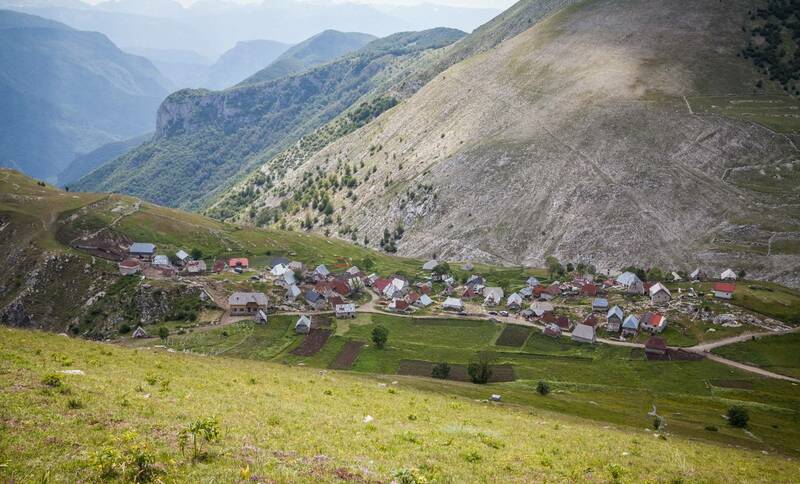 On the edge of the village, you will be treated by a rare view of Rakitnica, Obalj, and Visočica. You have arrived at the end of the world. We return via Dugo Polje, a long field flanked by Bjelašnica and Obalj. The trail is well maintained by people from the various villages around. Winding our way through Crveni Klanac we arrive at Gradina, a summer village just above Umoljani. Chances are we will see many villagers around collecting their summer harvest. From the village, we walk down to Umoljani from where we’ll be transferred to Sarajevo for our final evening of this journey. What is included: Transportation during entire trip with 8+1 MiniVan or 20+1 MiniBus (including Airport transfers); Fully equipped English speaking Tour Leader/Guide; Accommodation: 5 nights in Twin/Double room with ensuite bathroom; 2 nights in shared accommodation with shared facilities at Brezovac and Vilinac Mountain Huts; Meals specified in itinerary; All fees and taxes for Dinara and Blidinje Nature Parks & VAT. 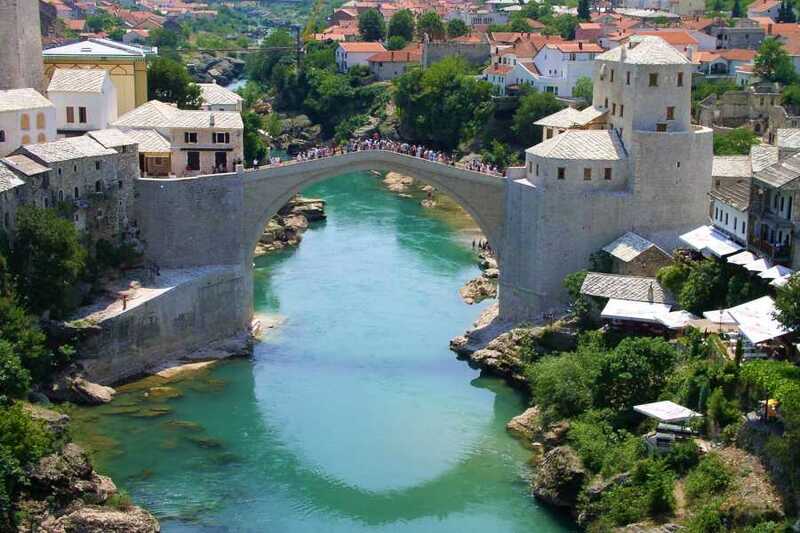 What is not included: Flights to Split, Croatia & from Sarajevo, Bosnia; Meals not specified in itinerary; International Travel insurance; Optional tipping to leader, guides and local staff; Souvenirs and items of a personal nature (sodas, alcoholic beverages, laundry, etc. ); Any items not specifically mentioned in the program.